Mike Rose (The Magic Kinda Guy) has honed his comedy magic presentations at dinner theaters, comedy clubs, the Vice Presidential Mansion for former Vice President Al Gore (on repeat occasions) and even at the Presidential Inaugural Dinner for George W. Bush. Now he’s ready for your group. Whether you need a performance for a large banquet, house party, or interactive strolling sleight of hand for any event, your needs will be met and exceeded. You can also receive a customized comedy magic presentation that will include key elements about your group. You’re not just hiring a magician; you are getting an experienced professional who will go the extra mile to guarantee your event is a success. Contact Mike today for availability. Why will Mike’s show be perfect for you? For the past 25 years Mike has performed his comedy magic shows in 25 states and Canada (not on the same day!) and will draw on all this experience to make your event a success. The performance for your group will be very interactive, engaging the audience with quick wit and adroit by-play. 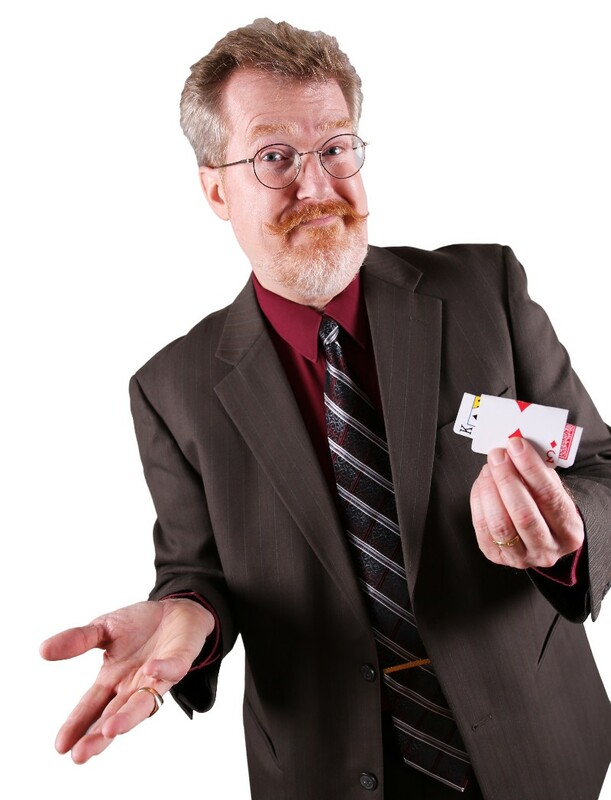 Regardless if you need a stage show or a strolling sleight of hand performance, you will receive a customized comedy magic presentation to exactly complement your event. Contact Mike today for your free no obligation entertainment consultation.